"Go here to sign up for The Embedded Muse. "When executives or clients demand unrealistic and unobtainable project schedules, the probability of substantial cost overruns and schedule delays will double; the actual project's schedule will probably be twice the optimistic schedule demanded by the stakeholder." Gack's Law. I thought you might like to share this very interesting set of articles with your readers... some interesting points about undefined behavior. I'll certainly be spreading it around at work. Version Control: Mercurial is by far my favorite. A really good introduction can be found here: http://hginit.com. I also like Fossil SCM http://fossil-scm.org/index.html/doc/trunk/www/index.wiki, but have not used it in anger. Its unusual scripting language imposes a learning curve that I have not climbed. Editor/IDE: Apple's Xcode is my favorite. Can drive cross compilers via make, etc. Does all of the usual sorts of IDE things well, and its free. Code Formatting: I like Astyle http://astyle.sourceforge.net reasonably well. I recently I found makeheaders http://www.hwaci.com/sw/mkhdr/, which is useful for a variety of things. I use a slightly customized version of it on a daily basis. Build Tools: Just plain old make. Simple, concise, reliable, portable. Calculators: I use bc when I'm on the command line. Sometimes dc when I feel the need for RPN. Networking: netcat is still one of the most useful tools ever. Cad/PCB/Prototyping: I like RazenCad http://razencad.com quite a bit. For prototyping circuits I like OtherPlan, and OtherMill, from OtherMachineCo. A lot of people express frustration with vendor's libraries and tools. 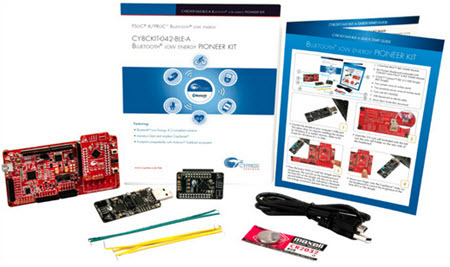 Andy Nevill of Cypress sent some CY8CKIT-044 PSoC 4 M-Series Pioneer Kits (Cortex M3 based dev kit with Bluetooth LE, Capsense, Programmable Digital (CPLD) and programmable analog) for the giveaway. He feels these address the issues Jon Titus identified. So, at the end of February, 2017 we'll award these to two lucky contest winners. VDC has just released a new survey of the embedded space; many Muse readers sent them data. They have generously agreed to share the results with the community (generally one only gets a small subset of the data; it appears to me they are sharing it all). 54% of embedded projects include a GUI. 49% have some sort of wireless connectivity. Projects are small - the mean number of engineers involved is 19, but the median is only 7. Development costs average $27 million, but the median is only $250K. The average project consists of 627,000 lines of code, though the median is 20,000. 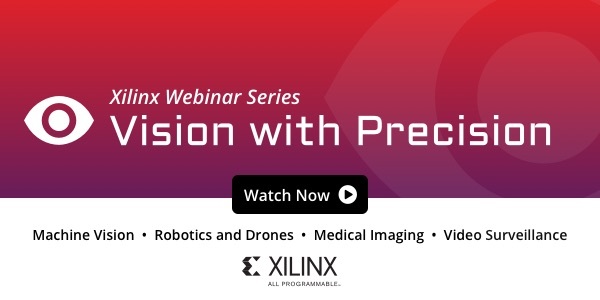 It's a Cortex-M world - 30% of projects use at least one. 65% of developers run their tools on some version of Windows, about 30% on Linux, and practically no one on Macs. Respondents expect that to change little in the next three years. Only 22% report using a "static analysis/code checker" tool. Alas, the survey lumped Lint and very different tools like those from Coverity et al into this bin. These are very different animals, both in what they do and pricing. The use of a hardware Memory Management Unit (MMU) is a powerful way to assure system reliability. Alas, till recently most MCUs didn't have an MMU. Now, though, some ARM Cortex-M devices include a Memory Protection Unit (MPU), which is scaled-down MMU. Correspondents have complained that ARM's literature about the MPU is confusing. I agree. 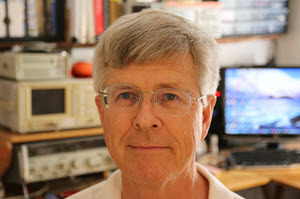 Ralph Moore of Micro Digital graciously agreed to write a multi-part series for the Muse about using the MPU. Full disclosure: his company has taken an ad in the Muse this week. Embedded systems are being drawn more into the IoT and thus, security in the form of protection of critical system resources is becoming increasingly important. Most security mechanisms, for example, depend upon secret keys and most embedded systems have mission-critical software, both of which must not be compromised. Effective protection can only be achieved via hardware means. Cortex-M0/1/3/4/7 MPUs have 8 slots. Each active slot defines a memory region with its own attributes such as size, alignment, read/write (RW), read only (RO), execute never (XN), etc. Slots in which the EN bit is 0 are inactive and have no effect upon memory accesses. Hence a user is not forced to use all slots. Unused slots are usually filled with 0's to disable them. Two unfortunate aspects of the Cortex-M MPU are that memory region sizes must be powers of 2, ranging from 32 bytes to 4 GB and memory regions must start on multiples of their sizes. 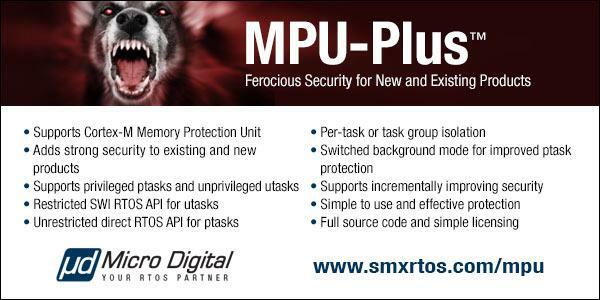 These requirements undermine the utility of the MPU by making it difficult to use without wasting substantial memory. This and uncertainty about how to define MPU regions have, I think, been major impediments to better usage of MPUs in embedded systems. How to define MPU regions is the subject of this blog. We'll deal with wasted memory in a future blog. Where necessary for specificity, examples assume the SMX® RTOS and the IAR EWARM tool suite. However, the techniques presented are applicable to all RTOSs and tool suites with similar capabilities. #pragma  default_function_attributes = @ ".taskA_code"
where .taskA_code is a name to identify the section. Several functions can be enclosed above. Also, the above structure can be repeated in other modules and all taskA functions will be combined into a single .taskA_code section. #pragma default_variable_attributes = @ ".taskA_data"
As with code, many variables can be enclosed above and the above structure can be repeated in other modules to create a single .taskA_data section containing all of the static variables, specific to taskA. Note that alignment equals the size as required by the MPU. Also note that the section and block names differ by only a ".". This is not a requirement, but it is convenient. Redefining the linker block as a compiler section is an EWARM idiosyncrasy that I don't understand, but it works. In the above template two common regions have been introduced for subroutines and static data common to taskA and other tasks. Also, a region is reserved for the taskA stack. The use of the template and MPA will be discussed in my next blog, "MPU Multitasking". I have followed the last discussion in the few issues of embedded muse about comments with interest. Coincidently, I was re-reading "Mythical Man Month" last month and came across Brooks' discussion on comments. 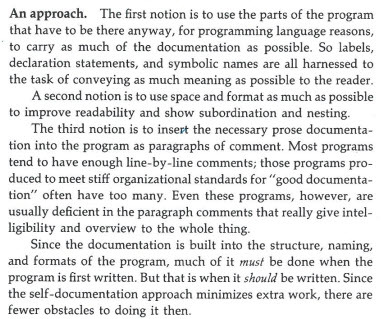 It was eye-opening (I had not remember this), that his definition of "self-documented code" is what is now known as "comments". The idea of today's "self-documented code" never crossed his mind! Sometimes the problems of today have already been solved. . . 40 years ago. What an innovative idea! For a description and more unusual design ideas check out this site.